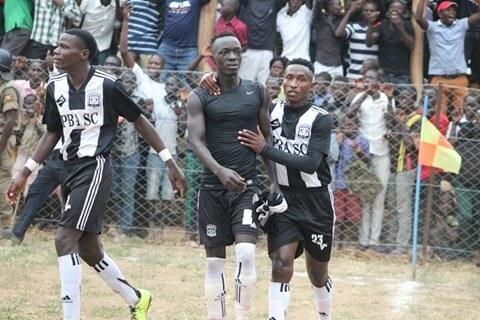 LUZIRA – Luzira based club Maroons FC hosts struggling Paidah Black Angels at the Prisons Grounds in one the five games in the StarTimes Uganda Premier League on Tuesday. The two clubs are struggling for form with Maroons having managed just four wins in 20 matches and Paidha Black Angles just two victories. Paidha Black Angels is fresh from that 2-0 home win at the newly reopened Bar Okoro stadium in Zombo against Nyamityobra FC while Maroons was held by Express at home courtesy of late Odur strike. Maroons FC will have Pius Obuya, Solomon Walusimbi, Ronald Orombi, Felix Okot, Herman Wasswa Nteza, Samson Abbey Mutyaba, Dan Wagaluka, goalkeeper Emmanuel Akol and Brian Majwega to get a home win against Paidah. The Arua based will have Dickens Okwir who scored twice against Police if they are to get an away win this season. Okwir will need the backing of other experienced players like Shaban Wasswa, Jackson Nsubuga and Patrick Arua for inspiration. Isaac Otto might not feature for Maroons FC because of an injury, as for the visitors they have no injury claims. This is going to be the second encounter between the two clubs,Maroons having held Paidah 1-1 in the first game at Green Light Stadium in Arua. Maroons is 13th on the log with 16 points and Paidha Black Angels is rock bottom of the standings with 12 points, same as Nyamityobora FC.